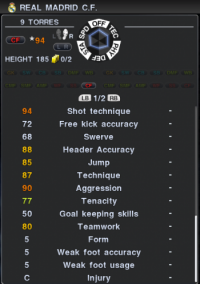 In this Team Guide, I would like to share with you my experience of playing Read Madrid, and perhaps offer some of my advices which hopefully you will find useful in your game, be it with Real Madrid or other PES 2011 Teams. And here is the formation I recommend. By default, PES 2011 Real Madrid uses a 4-5-1 formation. I tweaked it slightly by pushing the two SMF up to become WF. Everything else are largely unchanged. Casillas is the obvious first choice GK. Dudek has very impressive stats as well and provide a great cover, especially when Casillas is tired after the International Matches. Third Choice GK Adan is rather average in the game, and has not improve much yet, despite me being in my 3rd season. The center pairing of Pepe and Carvalho is strong. Albiol provides a great cover when required. After a few seasons, Carvalho ages and his stats will be affected. That is when Garay will start to progress in his game. Currently, I play Garay and Pepe as my two central defenders. Garay is tall and strong when tackling. Pepe is usually used as the attacking CB in my CB Overlap strategy. Marcelo is a fast and agile LB who will improve as the season goes, though he might get outmuscled rather easily. Sergio Ramos plays well at RB. He can also play in CB. Arbeloa serve as a good cover in any position across the backline and you will need such a player when injury piles up. Xabi Alonso has to play. He is the deep-lying playmaker who can split the defence with his through pass, both on the ground and in the air. Use your strikers to play one-twos with him to split the defence. For some reason, he defends rather well too. Khedira, without much star appeal, is an integral member of the midfield in my opinion. Despite his relatively poor stats, he puts in decent performance. His main strength is his skill card “Box to Box”, which means he will cover the entire pitch for you. Whether you are attacking or defending, he will always be there. Simply amazing. Try not to let him take shots on goal though. He tends to miss more than he scores. Jose Mourinho prefers Ozil to KaKa. However, in the game, Kaka is a must have in the AMF position. His close control is amazing, and he can score in 1-on-1 as well as from long shots. Ozil is young and will improve over time, but in my opinion, his movement are rather slow as compared to Kaka. I prefer Kaka as I like to dribble with him and play fast flowing football. Ozil will be the second choice AMF. He has the knuckleshot ability, and I find that his corner kick ability on the pitch is one of the best in Real Madrid. Diarra and Gago serve as decent replacement for the CMF and DMF spot. I play Ronaldo on the Left Wing as he can cut in with his right foot and go for goal. If required, he is also fast enough to charge down the left flank to deliver a cross in. Di Maria does a similar job on the right, although he is not as fast. His stats will improve over time, but somehow he still seemed slow. Perhaps this is due to comparison with Ronaldo on the other flank. Higuan is preferred as he is able to score from most position. In my opinion, he excel in shooting from just outside the box. Aim for the corner of the goal and his shot will fly past the keeper into goal. I find that his movement is more fluid as compared to Benzema. Adebayor provides a physical presence upfront which is ideal when you are changing your gameplan. 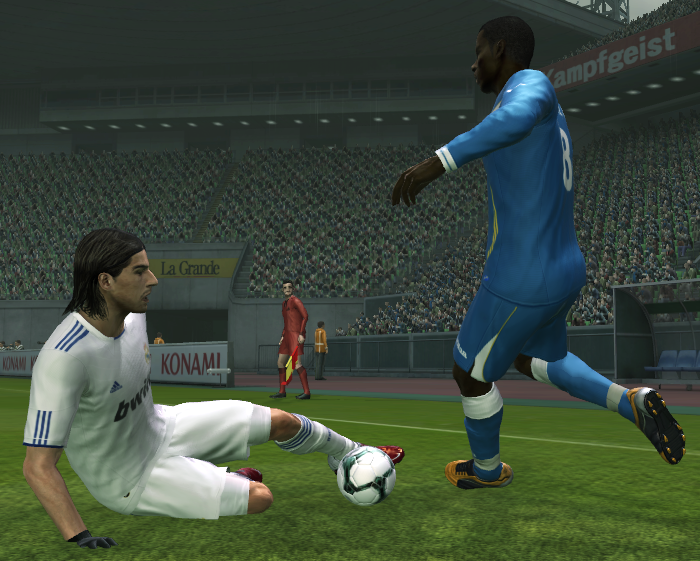 During PES 2011 cup matches, I play Granero, Pedro Leon, and Canales in order to blood them and prepare them for the future. All three of them have decent technical ability. Their set pieces ability is rather high as well. However, they do not possess high speed required of an attacker. Hopefully as time passes, they will improve. In my game, they are usually sought after by other clubs for loan deals. So it is a good opportunity for them to grow in another club for a year or two. Use Ronaldo, every single time. There may be other talented takers such as Xabi Alonso and Kaka, however, Ronaldo’s shot packs the most power and he has to be the first choice taker, especially for long range free kicks. Use either the knuckleshot technique, or just press Up + Triangle + Shoot for a venomous shot from way out. Just in Real Madrid in Real Life, I focus on buying superstars. I brought in Torres, Robben, and Hamsik to replace Higuan, Di Maria, and Khedira in the first team, and that team was my dream team, brushing every opponents off with ease. However, Torres and Robben tends to get injured rather easily, as their injury rating is C, as can be seen in the last stats in the picture below. 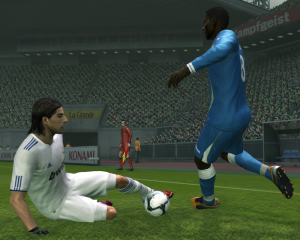 Thus, when we are buying players in PES 2011, we have to take into account their injury rating. There is little point in buying star players when they get injured after every 2 or 3 matches. It seemed that these players will be injured once after sustaining 3 tackles. They will be rolling around the floor and you have to take them out. Technically gifted players tend to fall into this category, such as Totti and Iniesta. Guess there is a trade-off. And thats all for this post. Hope you find this useful, and do leave me comments! why not diarra DMF ? he has a card he stays behind! And what about the sliders, please need some help with these. Yes Diarra is pretty good too, so it will depend if you prefer Diarra or Khedira, since Alonso is a guaranteed starter! Hi Neo, and what about team´s playstyle (player support,support range) and strategies (long ball, quick counter). How do you play those with Real Madrid? 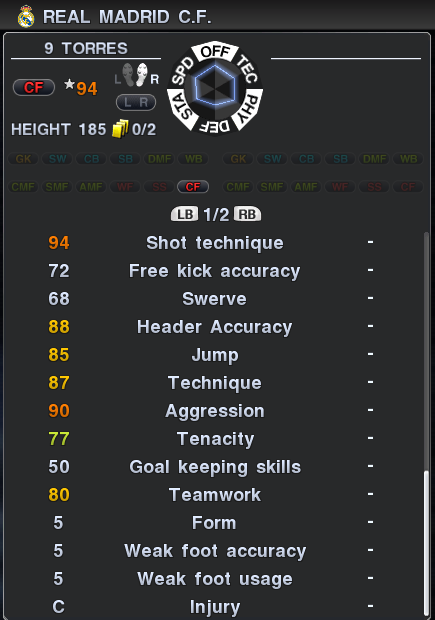 Hi friend i trained KAKA to play for WF wing forward and i was amazed that his over all became 97 i think you should add that to your tutorial BTW ty for the tutorial i followed it . Oh haha, thanks for the info! when you say “i wull use BArcelonas´s settinhgs” what do you refer?tactic?or pressing and that things? For you, who is the best team in pes 11 and the best national team? I tend to use the entire Barcelona’s tactic. That includes the formation, as well as the strategies. In my opinion, the best team will be Barcelona, and best National Team should be Spain. However, the fun in PES will be using weaker teams and trying to stage an upset against the stronger ones 🙂 Oh, currently I am not using AC Milan, so I am afriad I can give you an answer for that yet. i would say there is a need to vary our style 🙂 Sometimes passing all the way to goal, sometimes charging down the flank and crossing the ball, sometimes trying long shots. Guess we have to vary the styles, or else opponent will figure us out easily.